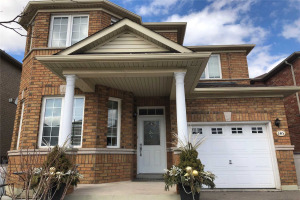 Beautifully Maintained 3 Bedroom, 4 Washroom Home In The Desirable Vellore Village. Eat In Kitchen With Walkout To A Beautiful Patio And Large Shed. New Hardwood Floors Throughout Main Floor. Large Dining Room Combined With Living Room. 2Pc Renovated Spa Like Powder Room. 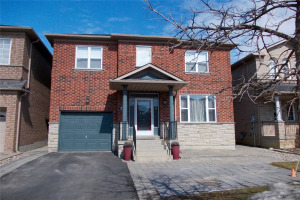 2nd Floor 3 Bedrooms A Main Washroom And The Master Bedroom With Large Walk In Closet And A 4Pc Ensuite. Separate Entrance To 2 Bedroom Basement With Rough In Kitchen. Close To All Amenities, Shopping Plazas, Schools, Fridge, Stove, Dishwasher, Washer/Dryer, All Electrical Light Fixtures, Shed. State Of The Art Hospital Being Built. Tankless Hot Water Is Owned.